The MY14 Audi Q5 has more standard equipment. AUDI has upped the value of its plush Q5 sports utility vehicle as it fends off growth from other premium players. The model year 2014 Q5 come with up to $3500 worth of additional standard equipment for the same retail price or $300-$500 more than the outgoing variants. Last month the Q5 was the most popular mid-size luxury SUV, ahead of the BMW X3 and the Range Rover Evoque. Entry level petrol and diesel Audi Q5 models now come with Xenon headlights and three-zone climate controlled air con as standard, while the 3.0 TDI and TFSI models gain 19-inch alloy wheels and extended paintwork that now colours the lower bumper sections (front and rear) and lower side sills. Digital radio is also added to the options list for $800. The distinctive aluminium/beaufort black inlays are now available as an option for all Q5 models, for $2500. This inlay combines black-dyed wood and aluminium. Five thin wood veneer strips and one aluminium panel (which is about 0.4 millimetres thick) are joined with adhesive. This produces a composite part that is about five millimetres in height. A large number of these flat blocks are layered atop one another and glued. In another step, the layered material is then vertically cross-cut into veneers, producing a stunning and individual look. 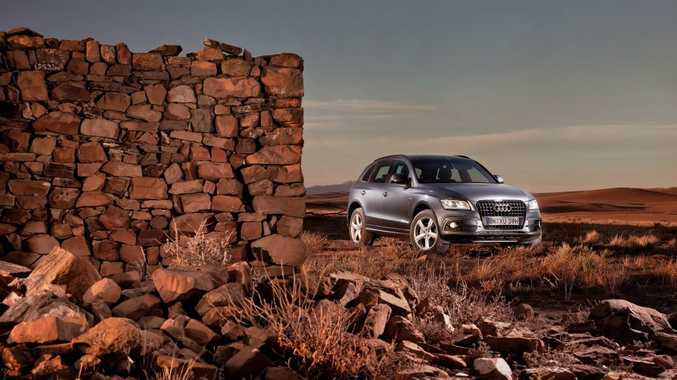 The range-topping SQ5 TDI also features two running changes. A space saver spare tyre is now standard, and the shift paddles on the steering wheel are now larger, making it easier for drivers to make gearchanges manually. "With almost 12,000 vehicles sold in Australia, the Q5 model is one of the most important models in our line-up," said Audi Australia's managing director Andrew Doyle. "The Audi Q5 is currently the fastest-selling premium SUV of its size in Australia, and now with the additional equipment upgrades we have brought to the car for 2014, we expect that the Q5 will maintain its leading position."